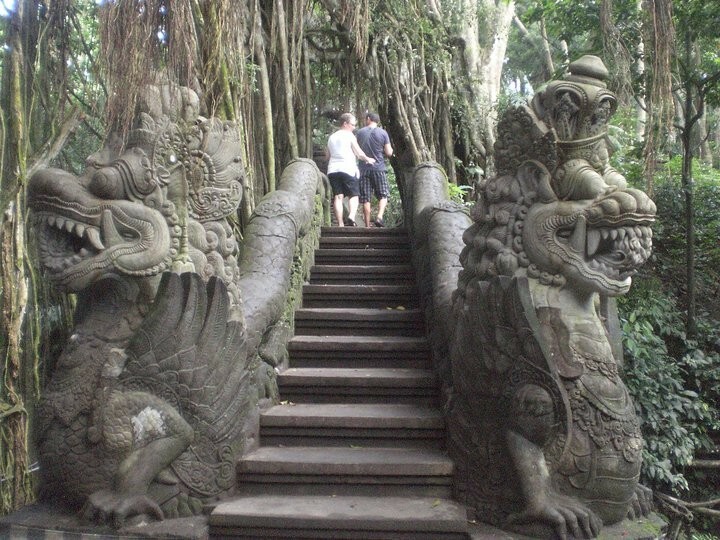 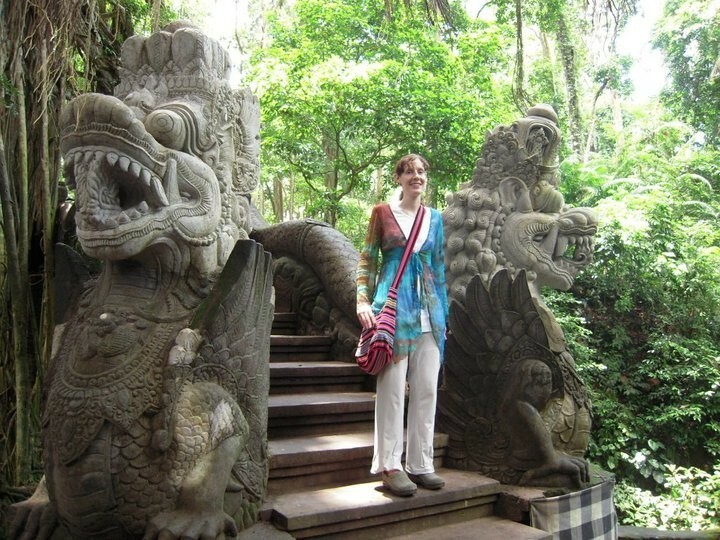 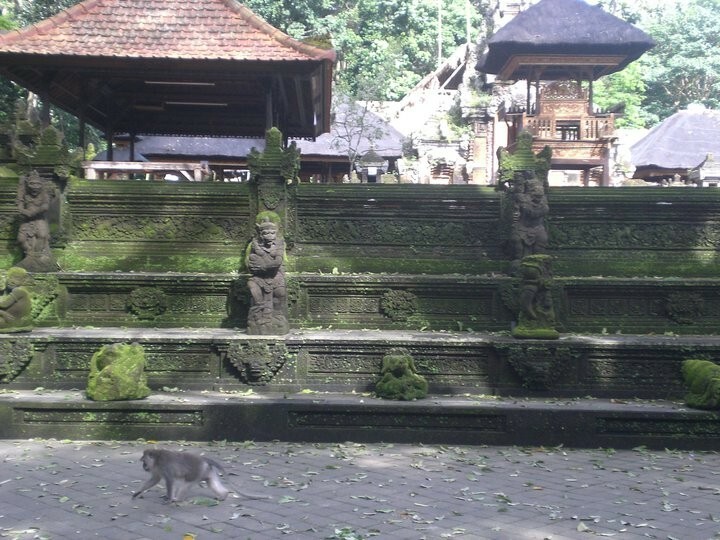 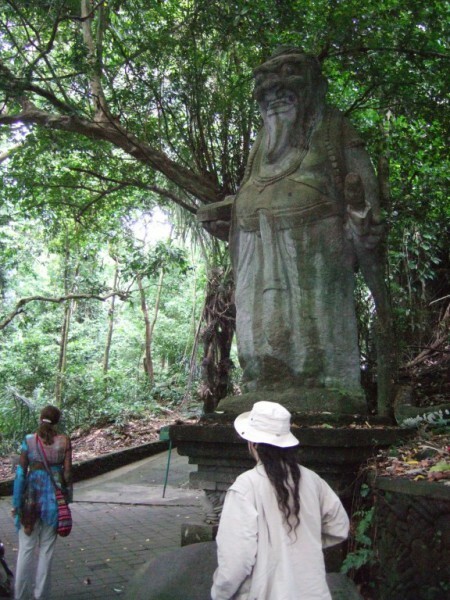 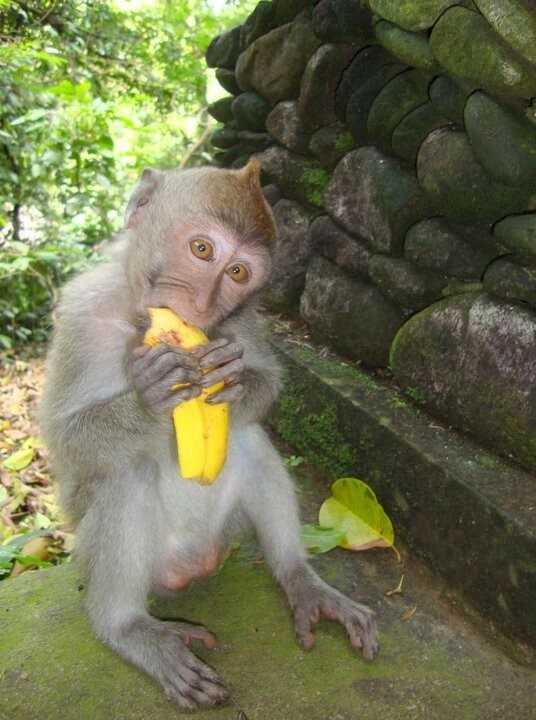 Into the magical Monkey Forest of Ubud! 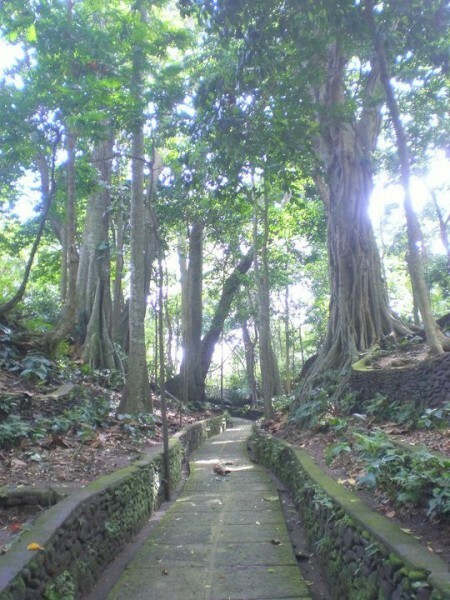 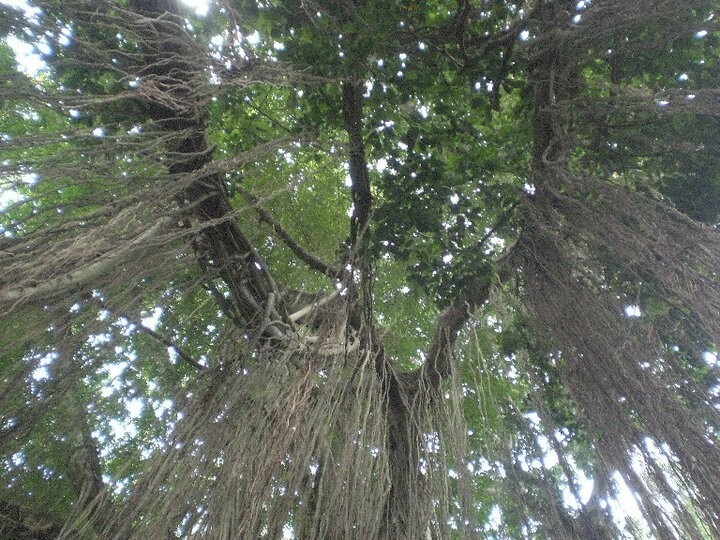 Canopies of trees in the Monkey Forest. 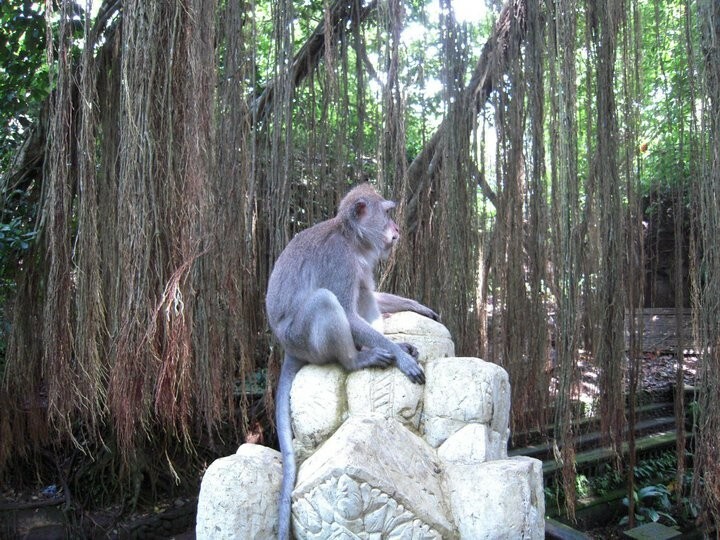 The Monkeys love their forest! 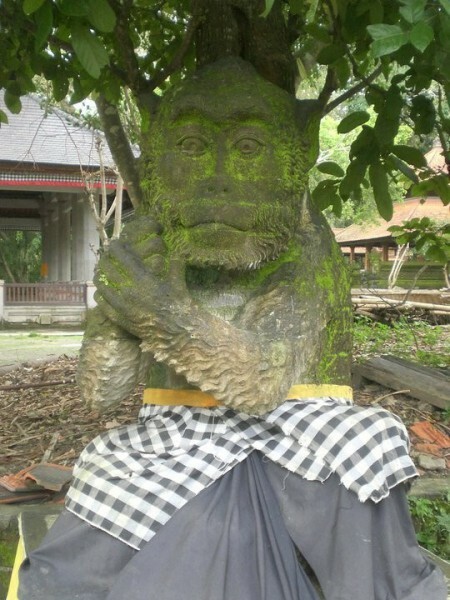 Hanuman reigns over his forest. 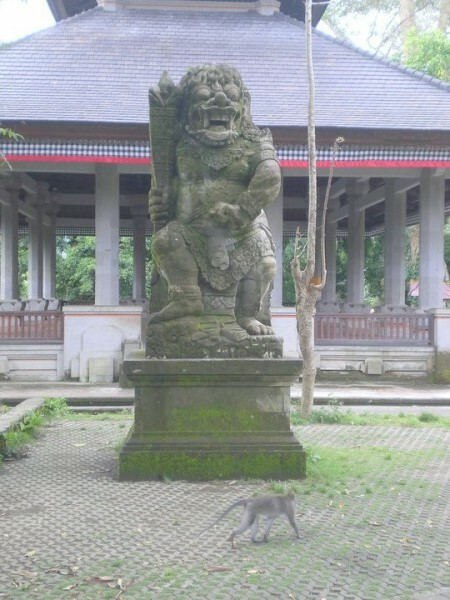 Fierce Guardians protect the temples. 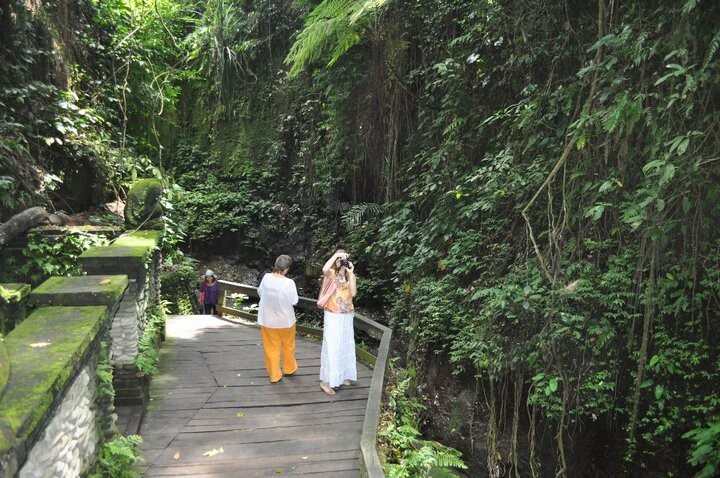 Alanah and Arbaline explore the forest. 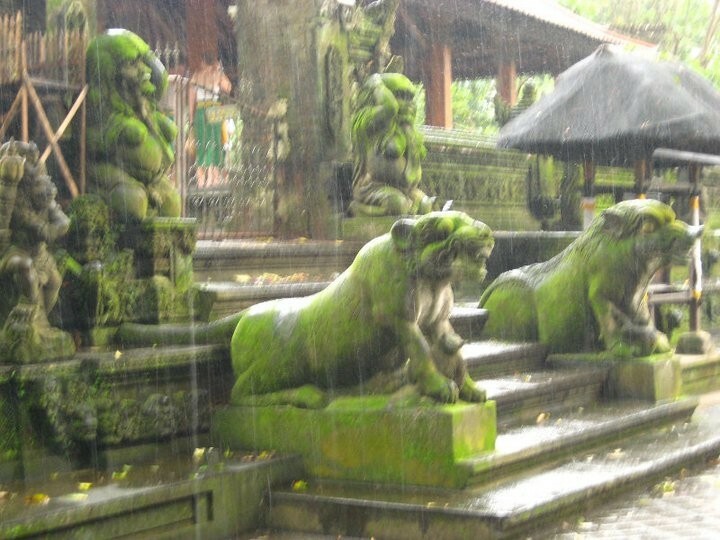 Rain keeps the Monkey Forest moist and mysterious. 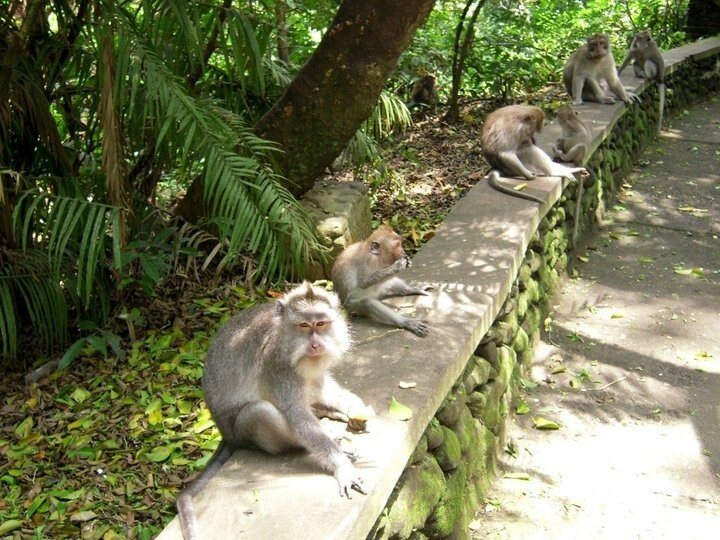 Monkeys waiting for the next visitors. 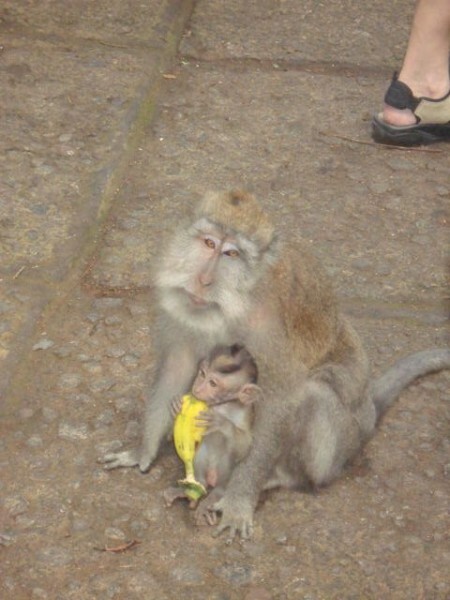 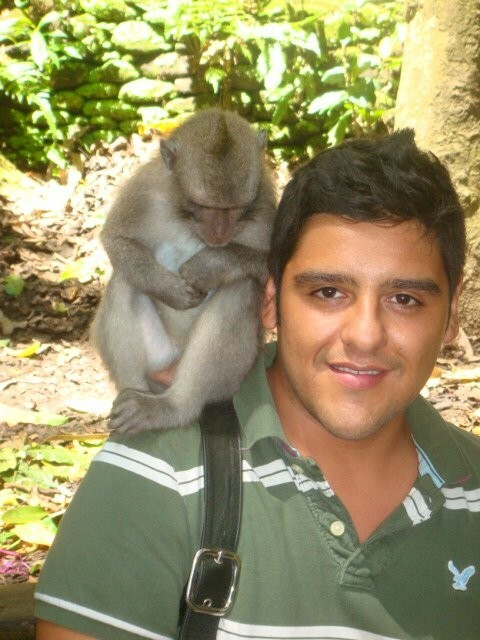 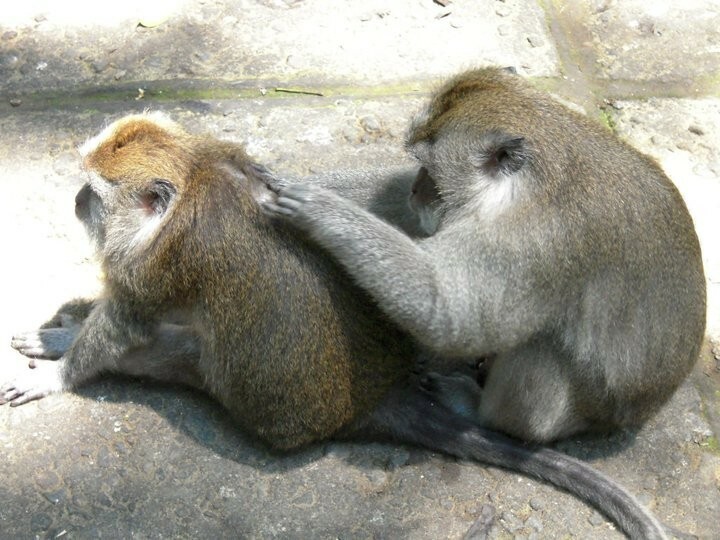 An Xahel having a close encounter with a Monkey Forest resident. 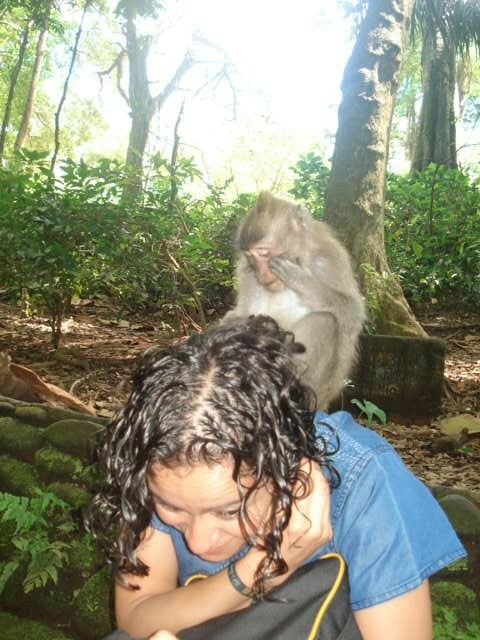 The Monkeys were definitely not shy. 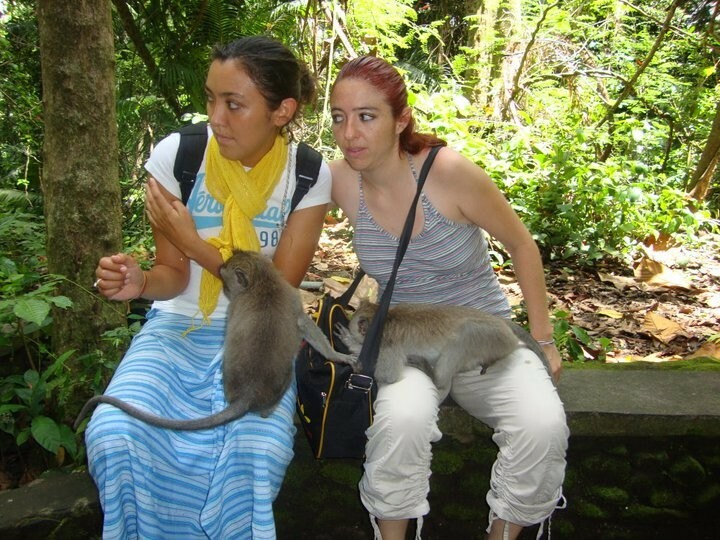 al.aktum and Sharim with two new friends.